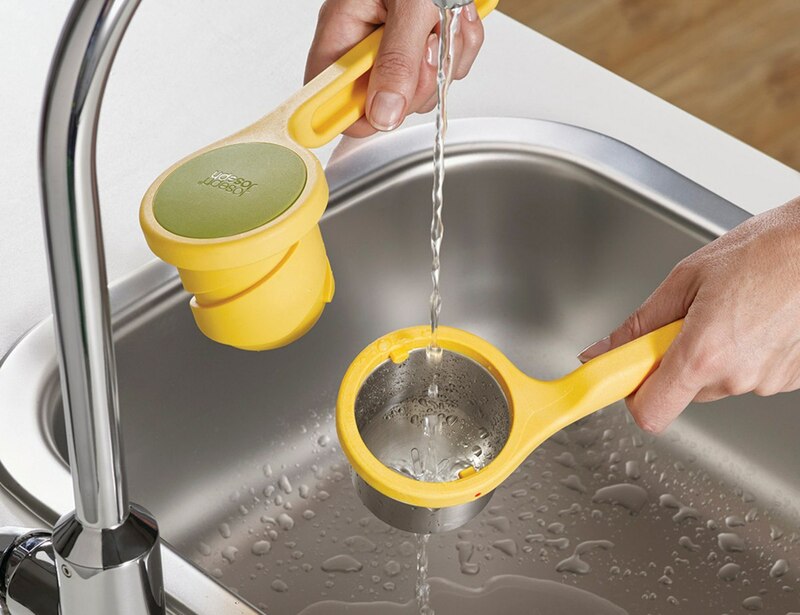 Save your hands from working too hard and use the delightful Helix Hand-Held Citrus Press from Joseph Joseph. 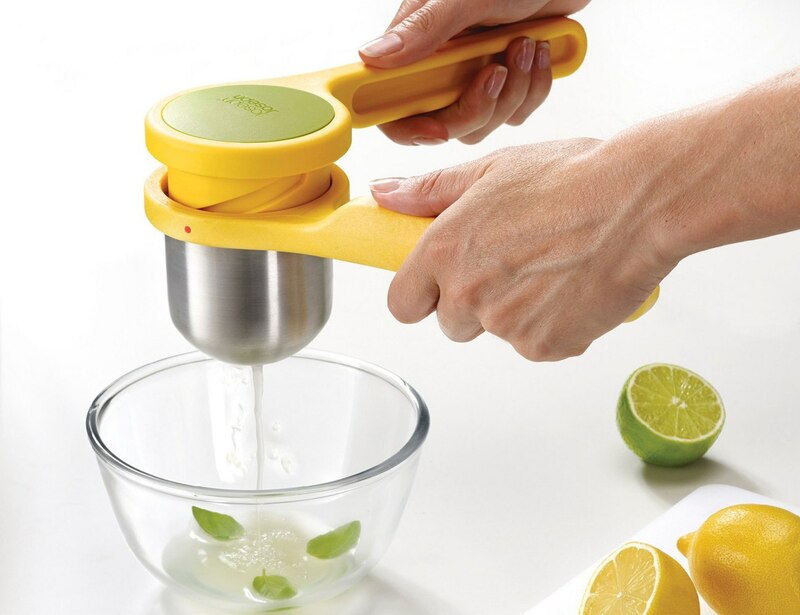 Keep your hands safe from working too hard and use the Helix Hand-Held Citrus Press from Joseph Joseph. 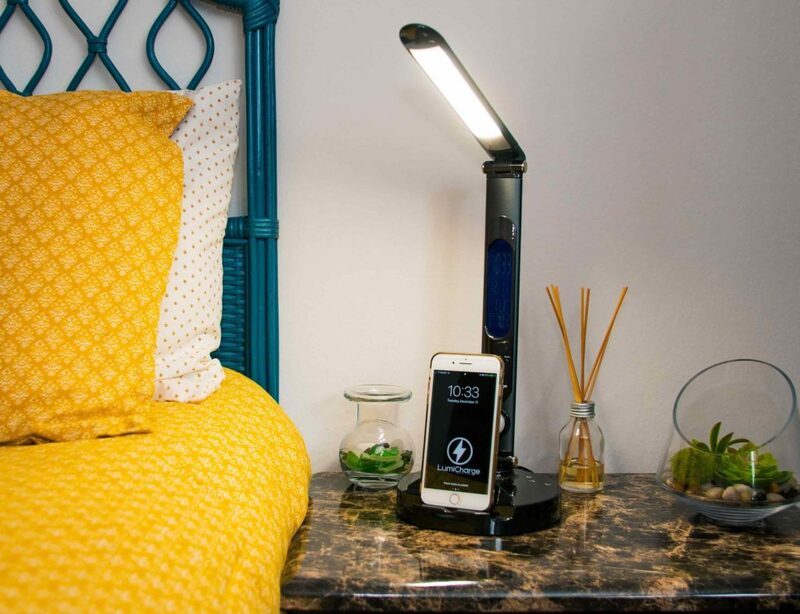 Coming in a delightful yellow, this vibrant device utilizes a unique twisting mechanism. 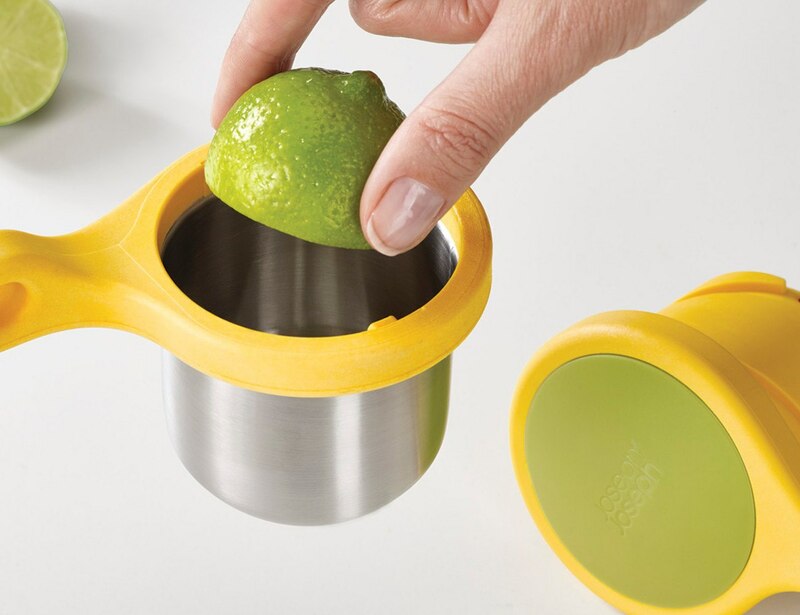 With this, the Helix Citrus Press gets all the juice from your fruits with far less effort. Ideal for any citrus, the Helix Citrus Press is perfect for spritzing your dishes with lemon and lime. 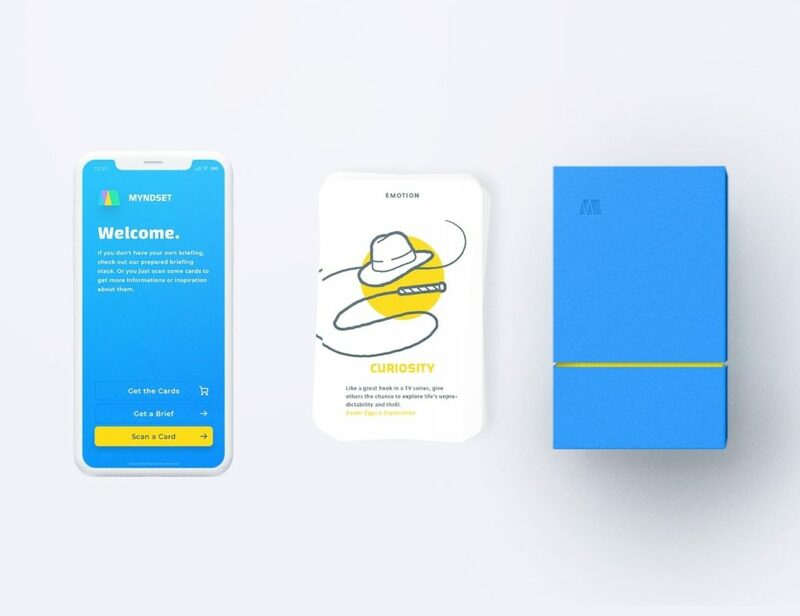 It even uses bright yellow and green colors in the design. 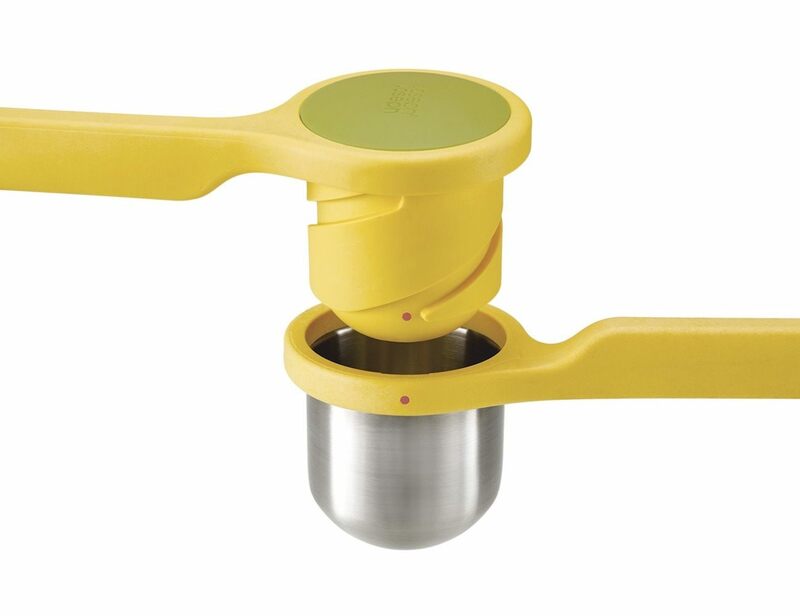 The Helix Citrus Press delivers power to the fruit that would ordinarily put strain on your hands. Additionally, it ensures all of the juice flow from the device and onto your intended food. Enjoy the flavor without the hassle when you use the Helix Citrus Press from Joseph Joseph.